Graeme Elder has been a part of Jabil's Social and Environmental Responsibility team for 8 years, most recently as global Director of Social Responsibility. 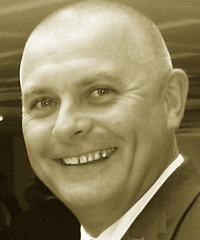 Graeme joined Jabil in 1999 and held various procurement, supply chain and operational development positions prior to becoming part of the SER team. Prior to Jabil, Graeme spent 7 years with electronics manufacturer Solectron.